Organization’s strategy seeks to match the growing demand for coffee worldwide by improving local sustainability as well as explore the economic reality of the sector. The International Coffee Organization (ICO) is seeking to appoint a consultancy firm in a bid to develop and implement a global communications plan to sensitize consumers on the economic reality of the coffee sector. The multilateral organization, which supports coffee exporting and importing countries is looking to improve the sustainability of the coffee sector and to promote a decent living income for coffee growers. Since 2016, the coffee market has experienced a continuous downward trend. Coffee prices are now 30 per cent below their 10-year average. Many of the over 20 million coffee farmers worldwide are facing losses as they struggle to cover their operating costs while prices decrease- but inputs, compliance and transaction costs rise. The economic and social consequences for producing countries has been severe, with cases such as social unrest, internal and international migration, abandonment of coffee growing or even switching to the production of illicit crops topping the list. As a contributing factor, lack of investment in the maintenance and modernization of coffee farms poses a serious threat to future supply, to match the growing demand for coffee worldwide. During its 122nd session in September 2018 in London, the International Coffee Council adopted Resolution 465 whose aim is to launch a global communication plan targeted at consumers, producers, the coffee industry, opinion makers and other stakeholders using social media and other means of communication in order to show the economic reality of the coffee sector. This resolution was targeted to address the impact of low prices on the livelihoods of coffee farmers and provide the International Coffee Organization with a strong mandate and specific tasks to respond to current coffee prices level. During the 124th Session of the International Coffee Council, concluded on 29th of March 2019 in Nairobi, the impact of low coffee prices on smallholder coffee farmers dominated discussions. Professor Joe Kieyah, Chairman of the Kenya Coffee Sub-sector Implementation Committee commended the Kenya Coffee Board and asked the government to involve the small sector farmers in coffee production and regulations which will help improve its production in Kenya. The conference gave Kenya an opportunity to showcase its coffee sector. It also sought to address some of the severe challenges facing coffee farmers in Kenya, revealing to them the transformative coffee reform agenda implemented by the government. The ICO is building a strong sector-wide dialogue that engages coffee stakeholders, development partners and civil society with the objective of identifying solutions, building consensus and setting measurable commitments towards sustainable future for coffee growers and the whole coffee sector in line with the UN Sustainable development goals. The Organization is producing high-level and relevant independent research and data, including the publication of a Flagship Report on economic sustainability. The report will include scenarios on the future of coffee and assessments of the most promising solutions to the current crisis in order to increase transparency along the coffee value chain. ICO is also mobilizing financial and in-kind resources by the private sector and donors; implementing innovative ideas in order to promote coffee consumption and sensitizing consumers on the issues faced by the coffee sector, while projecting a positive image of coffee and advocating for the importance of the coffee sector in the most relevant international forums. Jose Sette, the Executive Director of ICO, said the Organization is ready to commit and work to the needs of the farmers and ensure resolutions set are implemented. In a report delivered during the Nairobi convention on the Coffee Market by the Organization, the ICO composite indicator for February 2019 fell by 0.9 per cent to 100.67 US cents, similar to the level in December 2018. The daily composite indicator reversed the gains made in January, falling from an average of 103.32 US cents in the first week of February to 97.44 US cents on 26th February. Shipment in the first four months of coffee year 2018/19 increased by 6.6 per cent to 41.96 million bags, reflecting the ample supply of coffee on the international market. Exports from Africa rose by 1.2 per cent to 948,870 bags in January 2019 and by 5.8 per cent to 4 million bags in the first four months of FY2018/19. According to the report, Uganda is the largest exporter in East Africa, though its shipments declined by 8.8 per cent to 1.47 million bags between October 2018 and January 2019. Ethiopia is the region’s largest producer, but second largest exporter due to significant domestic consumption of coffee. The country’s exports during the first four months of 2018/19 decreased by 8.9 per cent to 1 million bags, as exports from Tanzania increased by 55.7 per cent to 399,540 bags. “Coffee production in Africa is estimated 1.8 per cent higher at 17.8 million bags in 2018/19. Ethiopia’s production is estimated to remain stable at 7.5 million bags, while Uganda’s production is estimated to rise 2.2 per cent to 4.9 million bags,” the report reads. 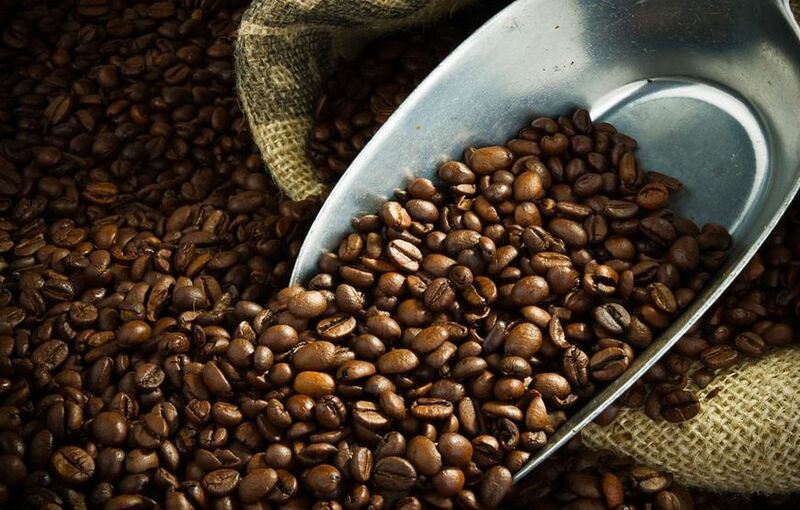 In Kenya, 90 per cent of coffee is currently traded at the Nairobi Coffee Exchange (NCE) before accessing the export market. Only 10 percent of the produce finds its way into the international market through direct sales. Kenya’s president Uhuru Kenyatta has introduced a number of institutional, legal and support service interventions with the hope that the move would reverse the negative trends. Some of the initiatives include rehabilitation of 500 pulping stations in 31 coffee-growing counties; rehabilitation and provision of planting materials; development of research centers and extension services, and creation of a Ksh3 billion Cherry Advance Revolving Fund to solve the problem of undue delays in the payment cycle, which takes effect from July this year. Having closed its conference in Nairobi, ICO has planned a series of events in the coming months. The last in its list will culminate to the CEO Forum during the 125th Session of the International Coffee Council, to be held in London in September, with the objective to agree on the implementation of actions to overcome the impact of current coffee prices and volatility on smallholder coffee farmers.